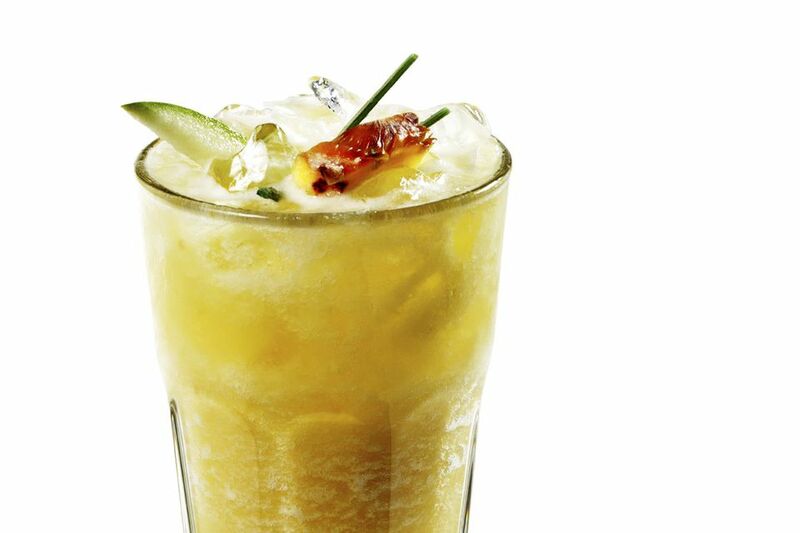 Rarely have we seen a variation of the Caipirinha that caters to the taste of autumn. The Homecoming Caipirinha is that missing link and it is fantastic. This cocktail is the creation of Anika Zappe of Root Down in Denver, Colorado and has a definite apple touch with both Fuji apple and organic apple juice included, which are stunning accent flavors for the cachaça. One note on the cinnamon agave nectar... You can infuse a small amount of agave nectar with cinnamon by using a technique similar to that in Square One Organics' spa nectar here. Muddle apples, lemons, cinnamon agave nectar, and sage in a glass. Add ice, cachaça, and top with apple juice. Roll in a shaker until well blended. Pour into an old-fashioned glass with fresh ice.